Cloud computing, forecast to become a $150 billion industry by 2014, is not only growing, its transforming almost every industry. And it could transform TV and broadcast media too, especially when it comes to first mile production, collaboration and data security. Modern production requires increasing numbers of people to be involved; everybody understands the benefits of wide-scale collaboration with more people being able to see what is going on and make decisions faster regardless of location, etc. But this sits in juxtaposition with the perceived and real - concerns around data security. It would be disingenuous to suggest that media conglomerates are not currently embracing the Cloud. They are. But many have simply focused on using it for distribution at the end of the process. Cloud services are sensibly being deployed to help companies distribute media to their content delivery networks and social media. In the process, the last mile is now being managed much more efficiently. Yet using the Cloud to improve the speed and efficiency of the first mile content creation process and delivery offers the major benefits of cost-reduction, improved competitiveness and increased profitability. There is a real opportunity to address the content creation piece of the broadcast workflow and its classic inefficiencies, for which cloud computing applications and particularly its multi-tenancy, is ideally suited. The cloud can help companies handle the explosion of content from remote places, as well as the proliferation of formats and the associated challenges that provides. And moreover, it can enable companies to get valuable content quickly and securely back into one place, so that it can be instantly accessed, edited and broadcast. 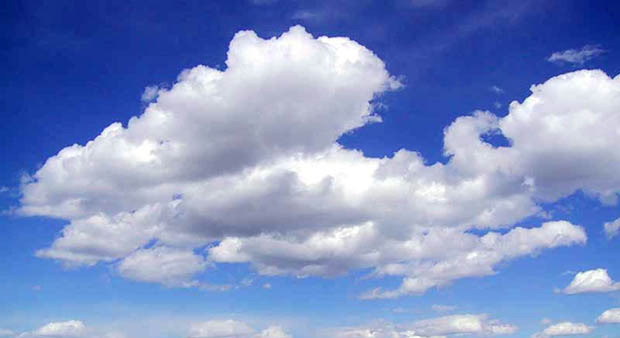 But its important to remember that all clouds are not equal. A suitable cloud solution will have the speed and stability to support multi-use, reliably and securely. The ability to maintain service is also critical. Moving to the cloud can provide media conglomerates with services such as data encryption, and the ability to store media as object IDs, multiple copies in disparate locations with instant access, 24 hour uptime and failover, as well as a much higher degree of physical security in the data centre where their data is being kept. Nobody can access the data stored other than the customer and the staff who work at the data centre. Much safer than putting your media on a portable hard drive or even a small stack of drives in an office. Furthermore, to the cloud provider, their job every single day is protecting the security of their customers content, so therefore you should believe they are protecting against hacking attempts and everything else. So the media owner will need to bring in these specialisms to handle these. The fundamental detail is that whatever a media conglomerate can do, a really good cloud provider can provide all of that and at considerably less cost. And, in doing so, they can start to harness the true beauty of the cloud the ability to transform the first mile content creation process and delivery which can help media conglomerates reach the last mile of distribution so much quicker. This brings the major benefits of cost-reduction, improved competitiveness and increased profitability.